Our innovative PACE curriculum focuses on the continual development on each student’s Professionalism, Academics, Character and Engagement. Our personalized approach to education ensures that the Lindner experience is customized to your personal and professional goals. The Lindner MBA lets you build your own full-time or part-time program based on your goals and interests. You can waive foundational courses in favor of additional electives if you have an undergraduate business degree, and you can choose to specialize your MBA with a graduate certificate in more than a dozen areas of expertise. Our innovative PACE curriculum focuses on the continual development on each student’s Professionalism, Academics, Character and Engagement. Our personalized approach to education ensures that the Lindner experience is customized to your personal and professional goals. The Lindner MBA lets you build your own full-time or part-time program based on your goals and interests. You can waive foundational courses in favor of additional electives if you have an undergraduate business degree, and you can choose to specialize your MBA with a graduate certificate in more than a dozen areas of expertise. The Admissions Committee requests the following from candidates seeking admission: an official GMAT score report; personal essay; sealed copies of official transcripts for all post-secondary schools previously attended; and letters of recommendation. An interview is optional but is considered of great import if conducted. Both GMAT scores and GPA a...The Admissions Committee requests the following from candidates seeking admission: an official GMAT score report; personal essay; sealed copies of official transcripts for all post-secondary schools previously attended; and letters of recommendation. An interview is optional but is considered of great import if conducted. Both GMAT scores and GPA are very important to the committee. The average GPA is 3.4, while the average GMAT score is 600. “Parking is easy” and the “beautiful” campus is small enough that you “don’t ever feel rushed,” though the location is in “a somewhat rough area of Cincinnati.” The MBA stu­dents are “instantly put into groups that we meet with outside of class, led by a faculty member,” so all students are connected to one another, and “are willing to give you a hand if you have questions or help work together through a particular topic.”Many day students are coming directly from undergrad (or just after), while students in the evening classes “have a little more age and more experience in the field.” There are many clubs to help students relieve stress and have fun on and off campus, regardless of age, and everyone “is always doing something” whether it’s “going to the school’s sports games, hanging out in the courtyard, [or] just having fun.” A great deal of UC students are commuters, and quite a few also attended the university for undergrad. Students do wish that the UC name were a little further out there, in terms of getting recruiters to come to campus. “UC’s business college sometimes seems to be like a well-kept secret,” says one. Still, the university does a decent job of accessing “a great network of companies to interact with students and provide career opportunities.” The school is fortunate to be located in a city with several Fortune 500-headquartered companies, so “the learning and employment opportunities are great.”Top employers hiring graduates are Apex Supply Chain, Ernst & Young, Procter & Gamble, Honda, and General Electric. The University of Cincinnati MBA program provides students a solid foundation in the analytical, functional, teamwork, leadership and communication skills demanded in today’s business world. This practical approach to business education paired with flexible options make the University of Cincinnati MBA program one of the best for students or professionals wishing to build their business skills. 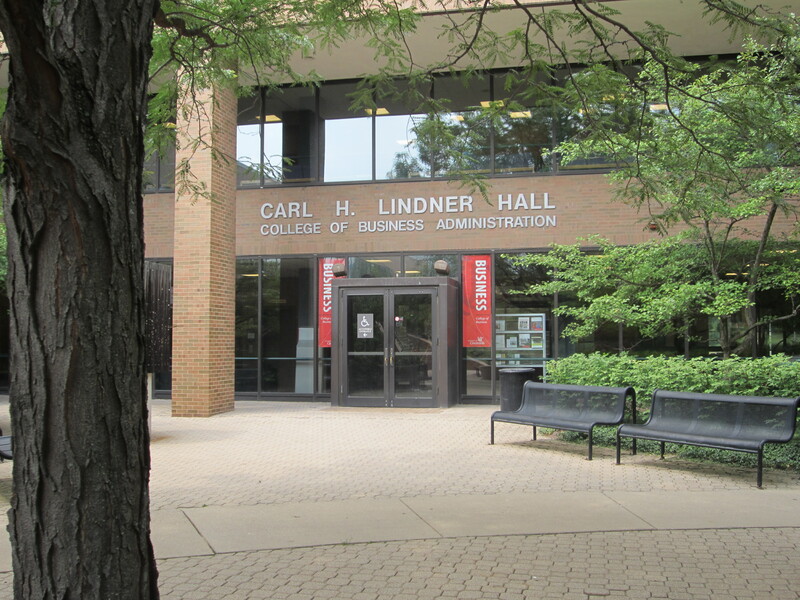 Part of the University of Cincinnati business behemoth, the Carl H. Lindner College of Business MBA Program is “equally flexible as it is respected,” offering both a part-time (completed in as little as 18 months) and a full-time option (completed in as little as twelve months), with classes held at its Clifton Heights and Blue Ash campuses, as well as online. The “affordable” school will even waive foundational courses if a student has an undergraduate business degree. “I needed a program that could adapt to my unpre­dictable work schedule while still challenging me as well as being known beyond this region,” says a student. The program focuses “heavily on project-team based work and less on outdated tradi­tional classroom instruction/testing.” “[It] has challenged me to think out of the box and I have gained a great deal of respect for the school and its faculty in the past year,” says a student. Professors are “loaded with experience” and a “passion to teach” and “can relate that knowledge in class.” All classes are put online as podcasts, which “is great if you have to work late or are traveling,” and the school also uses programs like Aplia and Connect to supplement lectures. The school administration is “always looking to grow and adapt to the changing econo­my. They’re focused on building for the future.” “At the end of the day you can find good people who will help you get what you need,” says one student. The school is “very accommodating” to working professional’s schedules, and “encourages students to be creative and find creative ways to challenge ourselves and change our communi­ties.” “As an MBA student at UC, I feel like I am an important part of the program. My ideas are heard; I am connected with my fellow students and faculty,” says a student. “I was very skeptical at first but now I’ve realized what a brilliant business school it really is, and how relevant the courses are,” says another. Center for Entrepreneurship Education and Research; Goering Center for Family & Private Businesses; Real Estate Center; Economic Center for Education & Research; Center for Business Analytics, Carl H. Lindner III Center for Insurance and Risk Management; Direct Marketing Center. Want more info about University of Cincinnati Carl H. Lindner College of Business Full Time MBA? Get free advice from education experts and Noodle community members.